The Catholic Theological Society of America is happy to return to the state of Wisconsin and city of Milwaukee for its 2015 annual convention. Our members, from every part of the United States and abroad, respect and appreciate Wisconsin’s long commitment to higher education and excellence in scholarship, in state as well as private institutions. We therefore note with alarm the current motion before the State Assembly and Senate, authorizing the Board of Regents to terminate faculty appointments for reasons of “program discontinuance, curtailment, modification, or redirection.” We likewise regret the move to severely diminish the faculty role in shared governance. As a gathering of professors committed to the work of education, the members of the Catholic Theological Society of America express our support for Wisconsin’s superb higher education system, and our solidarity with its professors in their efforts to maintain excellence in higher education through a reaffirmation of tenure and recommitment to shared governance. We call upon state legislators and members of the Board of Regents to preserve and protect the standards and safeguards that have made the colleges and universities of Wisconsin among the best in the nation. 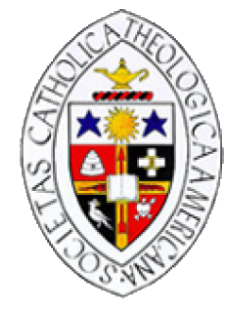 The Catholic Theological Society of America regrets deeply that the provisions established by the American Bishops in the document Doctrinal Responsibilities: Procedures for Promoting Cooperation and Resolving Disputes Between Bishops and Theologians were ignored in passing judgment on Quest for the Living God by Professor Elizabeth A. Johnson, C.S.J. These provisions came from the CTSA and from the Canon Law Society of America. After six years of deliberation, debate, and consensus, they were submitted to the Congregation for the Doctrine of the Faith and obtained its review and concurrence. Then they were presented to the entire body of American Bishops at the regular meeting of the Conference and approved overwhelmingly for use in the United States. They were not imposed upon any diocese as an obligation of law but presented as careful provisions and directions in order to avoid precisely the situation in which we find ourselves. In light of this, the CTSA recommends to the American Bishops that they establish a committee that would evaluate the procedures of the Committee on Doctrine that led to their statement. Motion to approve passed, 147 in favor, 1 opposed, 2 abstentions. We, the Catholic Theological Society of America (CTSA) stand in solidarity with our brothers and sisters who are undocumented immigrants. In faithfulness to the Gospel of Christ and the social teachings of the Catholic Church, we affirm the dignity of all human beings, regardless of national origin, and we call for just, comprehensive, and humane immigration reform.